Angels and demons colluding in the bright casino lights. Animals and plants coiling around us in the night. Strange outsiders entering the world through your dreams. Snake cultists seeking to raise a dragon from an Aztec pyramid. All these and more come together for a highly unsettling apocalypse. 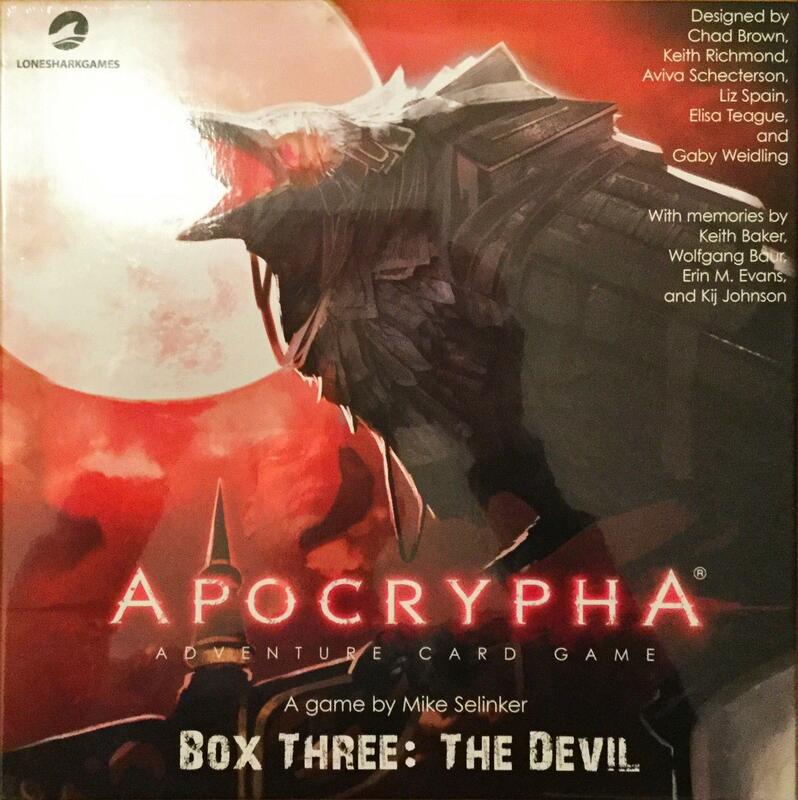 The Devil is an expansion for the Apocrypha Adventure Card Game that can be played as a co-op card game for 1-6 players or a full roleplaying game with one player acting as a guide. The Book of the Animus, in which the New Orleans bayou is threatened by the great spirit of nature, with memories by Kij Johnson. The Book of the Damned, in which Las Vegas is overrun with demons and angels preying on the weak-willed tourists, with memories by Erin M. Evans. The Book of the Dreamers, in which the cities of New England are invaded by twisted nightmares, with memories by Keith Baker. The Book of the Serpents, in which the ancient ruins of Mexico are unearthed by snake worshippers searching for the last dragon, with memories by Wolfgang Baur.